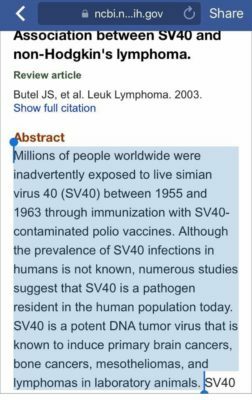 Human and animal vaccine contaminations. “Pakistan’s vaccination drive against polio has encountered many adversities in the past few years. The vaccination drive received hostility from militant groups when it was used as cover to spy on Taliban hideouts. 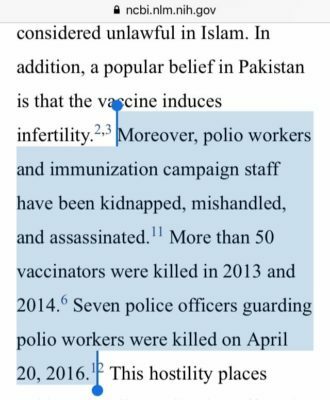 In retaliation, extremist groups have killed about 60 polio vaccine workers, which further hindered progress of the vaccine drive.1 Additionally, some in the general population have misconceptions about the vaccine. Until now, the government has not taken a hard line, which is necessary to control this issue. Polio Eradication in Pakistan: Call for Alliance. 2017. Poliovaccine virus in the cerebrospinal fluid after oral polio vaccination. 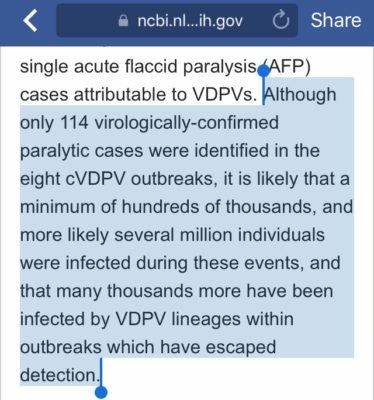 Note: There is speculation that this may be occurring with the influenza vaccine as well. More research is needed. What was the cause of Franklin Delano Roosevelt’s paralytic illness?